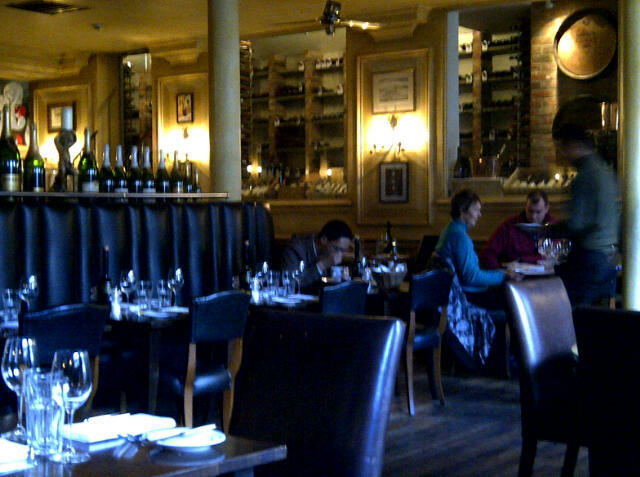 Home » food » Hotel du Vin. Does what it says on the tin. 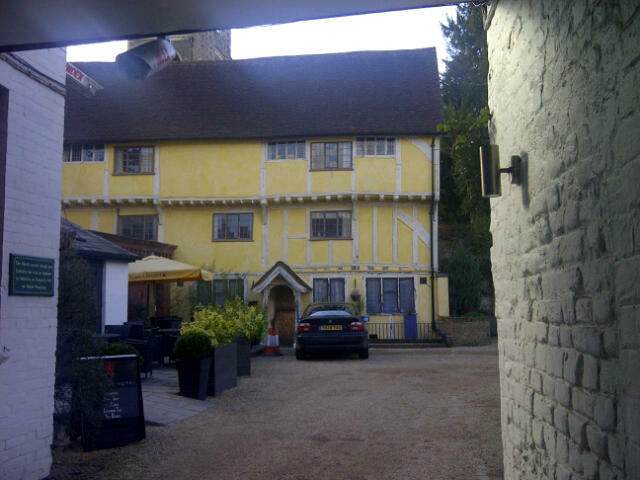 Hotel du Vin. Does what it says on the tin. Because life isn’t all Michelin stars and a lot of the time you just want to go somewhere easy and eat simple food, we thought about this. We’d been to the dump and didn’t quite want to go straight home after all that exertion. So we thought we’d go to Henley instead. Many years ago, before we were (almost) locals, we had stayed here. After the obligatory room change (too noisy; above the restaurant) we were moved to a very pleasant and well designed room with a view of a churchyard. I did say I wanted dead quiet so they took me at my word, obviously. I was particularly impressed by the fairly funky trad-yet-mod bathroom, to the point I contacted the owners, the MWB group, who were known to me through work, to see if I could use their designer. This was pre-recession and I marvel at this now. Despite offers to help, I lost the will to live going through their labyrinthine systems and didn’t go ahead. About which I’m now quite pleased. 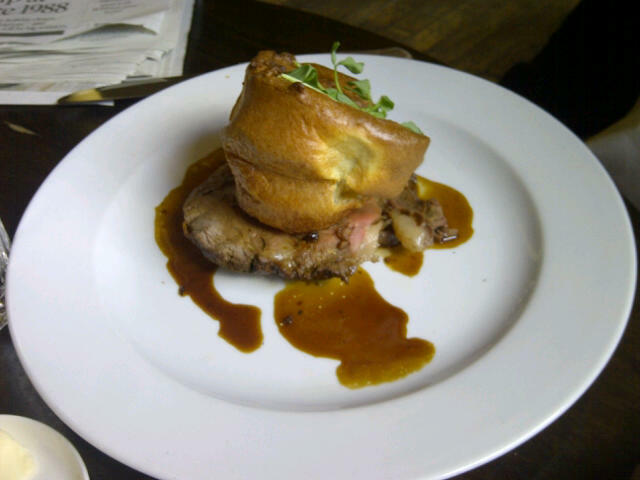 So without really thinking about it and too lazy to cook lunch, we thought we’d give it another go. I didn’t remember anything about the food but I did remember that there was a very good wine list (er, it is Hotel du Vin ) and that’s about all. Blame the wine. I generally do. My first impression was that it has gone a bit down-market since my last visit. The loos were a bit neglected – no soap in the dispensers and it smelt a bit… stale, is one of the word that comes to mind. Not awful, exactly but just not fresh. At around one p.m. on a Sunday, it was fairly empty. Not tumbleweed empty, just a bit not-very-popular empty and we wondered whether we had done the right thing . Notwithstanding the lack of buzz I was very pleased to observe that there was no music/musak, so that gets a great big tick in my book from the off. It did fill up after 2pm, however and being quite child-friendly, there were a few screamers, but the tables are fairly well spaced so I survived it. Don’t say I didn’t warn you. And the food? Actually, for the money, it was fine, good value even. A fairly traditional English Sunday lunch–type offering, with roast beef and Yorkshire pudding; pork belly; hake with pearl barley/chorizo and a tomato fondue; a vegetarian pasta course –and my choice, the fishcake on spinach with some pea shoots on top. It’s not inventive food, nor is it groundbreaking, in any way at all, but it was competently cooked, served in generous portions and good value for money at £19.95 for two courses and £24.95 for three. C had charcuterie to start – spoilt only by the obligatory drizzle of balsamic vinegar, which he detests and which was wholly unnecessary. I restrained myself at the outset on the basis that I’m currently in the unstructured (for that read “large”) section of my wardrobe and just had the bread-basket. Oh, the restraint. The bread could be a little more interesting but it was just your bog standard baguette, sliced thinly and served with some decent butter. 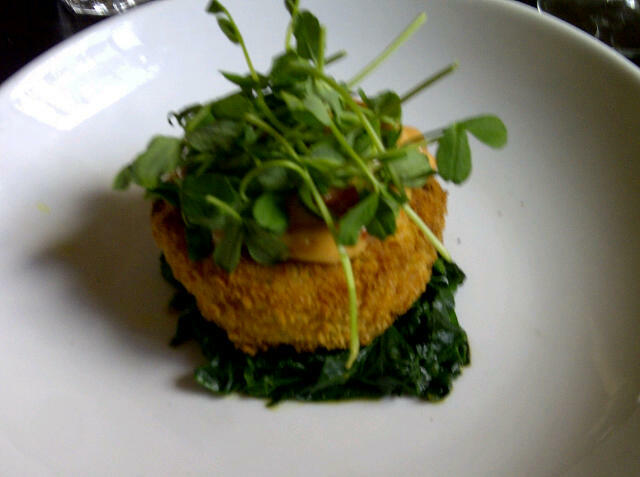 The fishcake was tasty – served very hot, with a proper potato/fish balance. See, it looks all right doesn’t it? I didn’t even steal any of that Yorkshire pud. What’s wrong with me? and the side plate of vegetables was extremely generous . I prefer my roast potatoes a little browner, but hey, it wasn’t bad. 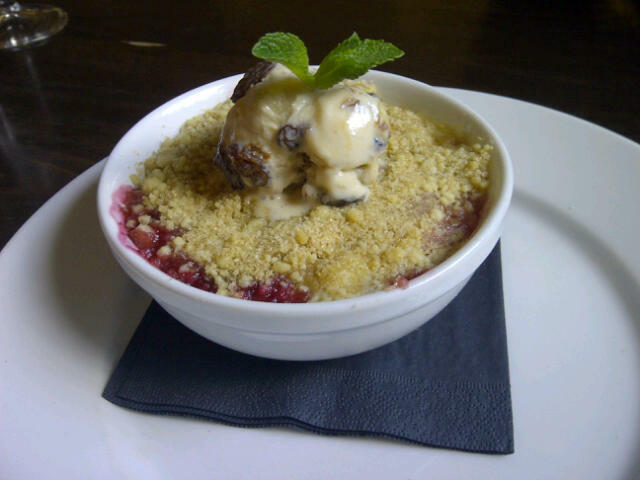 Because it is absolutely unknown for me to have less than two courses, I ordered the fruit crumble for dessert. Very sweet – a bit too sweet – crumble not quite crumbly enough. You know what it should be like – bits of fruit bubbling up through part chewy crumble . you can see what I mean about the crumbly bits can’t you? It wasn’t like that, although obviously we did manage to eat it and it was, of course, only fruit, so not all bad. And one of my 5 a day. Add to that a decent glass of Gewurztraminer and a nice Merlot /cabernet-sauvignon combo and we were happy. It isn’t fancy, or pretentious. 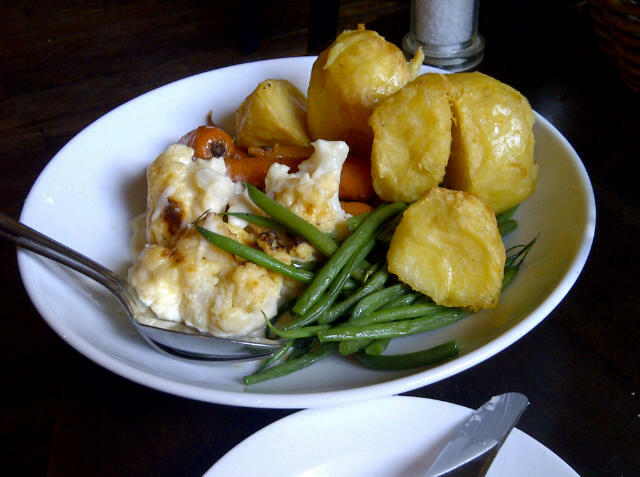 The food came when it was meant to and the service was competent and friendly. My recommendation would to come here for the wine, with a bit of food on the side, because there is a great selection, the house lager is excellent, according to C, who has tried most known to man. I mean, I wouldn’t drive here from London or anything as rash as that, but if you fancy an overnighter with some decent wine and reasonably priced food, you could do a lot worse. I certainly have. A bonus picture because you made it to the end. And it’s round the corner from the hotel.